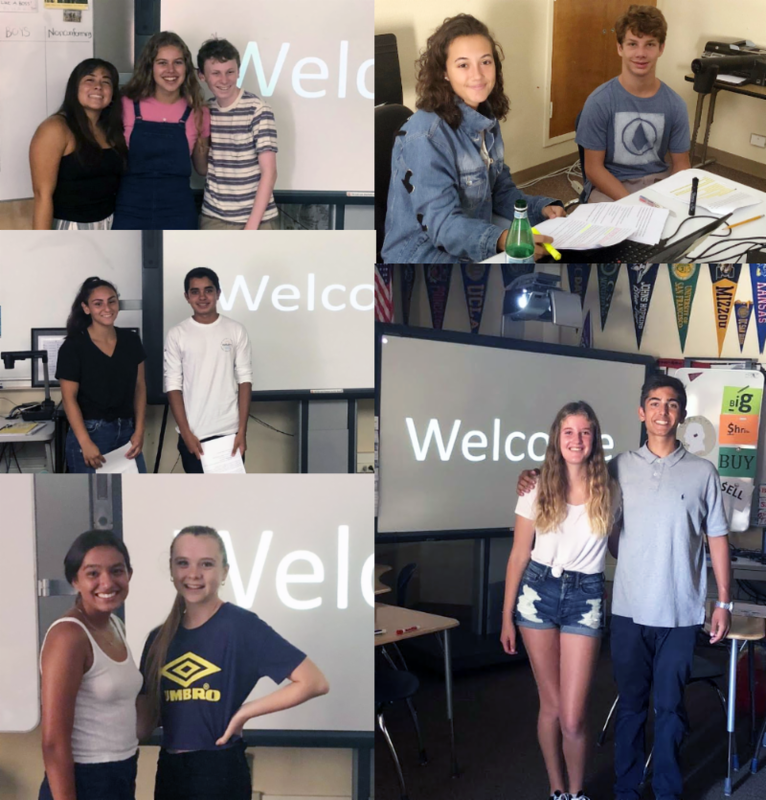 La Jolla High's new Agent of Change Peer Counselors spent countless hours training this summer, as well as all day last Thursday leading small group workshops for EVERY freshman at Freshman Orientation! Each amazing, interactive workshop discussed respect, how our society has normalized and justified disrespect, and how we can help stop disrespect here at La Jolla High. This program was established after last year's grade level assemblies by Jeff Bucholtz from We End Violence. An Agent of Change club will be starting soon - stay tuned! Peer Counselors: Chloe Cisneros, Elizabeth Heller, Nick Brown, Carmen Ramirez, Grant Paulker, Kaylah Ferrer, Roshan Hargens, Emily Heller, Nolan Mitruka, Rekha Hargens, Dasha MacAuslan.